Barry Butler, BFA, has worked for many years in jewelry and design; but his skills encompass a wide range of materials and processes on many different scales. His woodworking and metalsmithing skills tend to be precise, and focus on function as well as beauty. Producing customized one-of-a-kind works of his own or in collaborative efforts brings out the best of his abilities. His main goal: “To see people happy”. 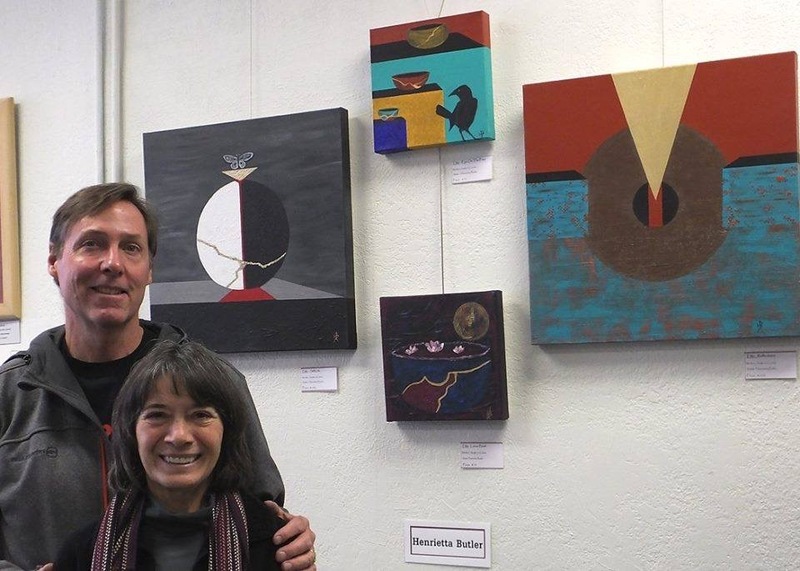 The works of Barry and Henrietta have been featured in shows and galleries in Southern Colorado and Southern California. They have produced numerous commissioned works of functional art. Please use the above menu to navigate to the area(s) of your interest. Very exciting! Your paintings are beautiful and I am looking forward to seeing more. Happy that you are having such fun! As usual, you blow my mind, Henrietta & Barry! Love your talent, love your work, love you! !